View any one of the nifty websites from our weekly collections. Each week we scour the web searching for nifty websites and online tools that will, hopefully, benefit our readers. Websites are discovered from a wide range of sources, covering all sorts of topics. If you want to be informed of new collections, subscribe to our RSS feed here, or join us on Facebook for a weekly notification. This week’s Collection features cloud storage for photos, a payment option to replace credit cards, a seriously easy website builder and webapp for note-taking. 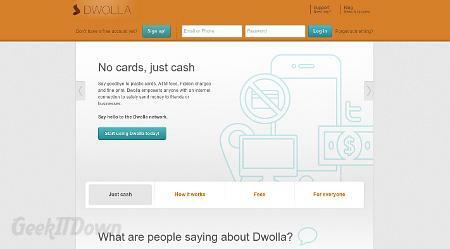 One of the more disruptive startups to come along recently is Dwolla. Their mission is to eliminate credit card fees and to a greater extent credit cards from the payment equation. We’ve kicked the tires of Dwolla for a while and can see where the benefit lies. They can clearly provide a simpler payment option for consumers while delivering more profit to merchants. Continue..Read more about Dwolla. By now most users are in some way familiar with cloud storage and computing, in fact if you’re one of our regular readers, then very familiar. Something we continue to encourage is data backup. Cloud storage is so convenient and affordable that every user should be utilizing the technology. 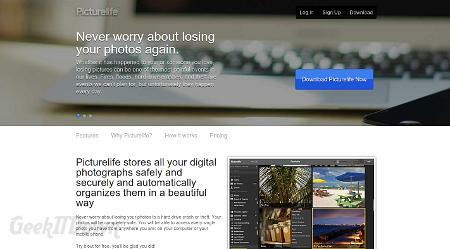 Today we’re looking at another online storage choice, Picturelife. Continue..Read more about Picturelife. Are you serious about building a website for yourself? Serious enough that you’ve even considered hiring someone? If so, then there may be an alternative for those who want more than a free alternative and are willing to pay for a good look. 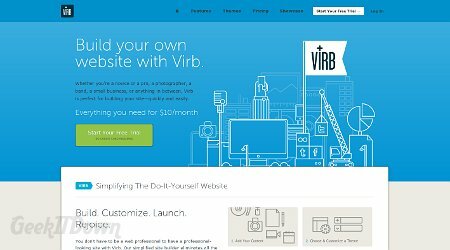 Virb. Continue..Read more about Virb. Do you remember the days of carrying around a small notepad for taking notes? Keeping a small notepad in the car was always a popular solution for those times when something just had to be written down immediately. Now however, we have fancy smartphones and tablets which go everywhere with us. Along with those great gadgets are apps that routinely make things a bit simpler, including note-taking. An extension of those mobile apps are webapps and cloud integration. 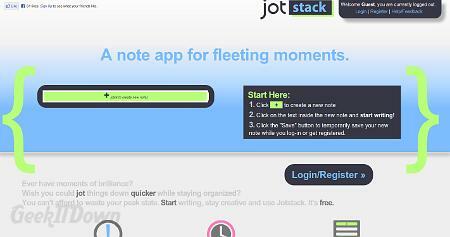 Jotstack is a webapp designed to deliver your notes to you from the cloud. Continue..Read more about Joystack.